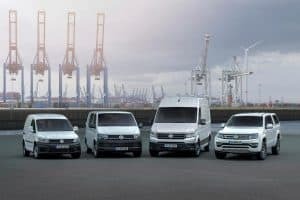 Volkswagen Commercial Vehicles (VCV) has announced an impressive start to 2019, with the firm’s first-quarter delivery figures showing record growth. The company reported total worldwide growth of 9.4 per cent from January to the end of March this year. According to the company’s official data, 125,600 vehicles were delivered to customers in the three-month period, with particularly strong performance witnessed in Europe. Indeed, the firm saw 13.4 per cent growth in European vehicle deliver numbers to 87,600 units. This impressive rise was supported by a marked increase in deliveries to Spain (51.2 per cent), Italy (16.6 per cent) and France (7.2 per cent). Elsewhere, VCV reported growth of 6.7 per cent in North America, 39.6 per cent in Africa and 11.6 per cent in Asia. The positive start to the year was somewhat tempered by a 44.8 per cent decline in the Middle East. Member of the board for sales and marketing for VCV Heinz-Jurgen Low commented: “This is the best first quarter result we have ever achieved in our brand history. The company’s T-Series and Crafter models were shown to be particularly popular among buyers in Q1, with both witnessing double-digit deliveries growth.